I love the blog Socks for the Boys! Here Alison ponders what role the imagination plays in the diary format and our interpretation of reading others’ diaries. A lovely post! Kernels of Truth: historians and the imagination. Elsewhere I have written about Joan’s visit to the NY World’s Fair that first week of the war in September 1939. 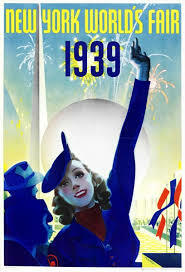 Her poem, New York World’s Fair 1939, commemorates that visit and ponders the peace at home. Following it as it moves…. There were many spectacular performances at the Fair. Johnny Weissmuller of Tarzan fame appeared, according to Brooks Atkinson in the Times. 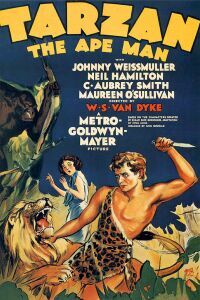 Here you can see the trailer to the original 1932 movie Tarzan the Ape man. There was also a Hedy Lamarr film, “Lady of the Tropics,” that opened. The Fair appealed to the viewer’s sense of adventure, the exotic, and remote. But those lands would become all too familiar to those who had to fight in the war…..
September 1, 1939, the day Germany invaded Poland, conventionally has been called the day World War II began. Of course, the roots of the war lie much deeper and further back, as Joan’s diary illustrates. In honor of the 75th anniversary of the start of the war, today’s post looks at an unusual topic, but one which Joan uses to ground a poem commemorating the start of World War II. I had never even heard of a catalpa tree before I read my mother’s diaries from the period before and during World War II. Today this species is making headlines. A recent article, “You’re Planting That Old Thing?”, extols old vegetative species, while pointing out their deficiencies and drawbacks. First, for those who, like me, are new to the glories of catalpa trees, here’s a photo. And do view this slideshow of “old-fashioned” plants. 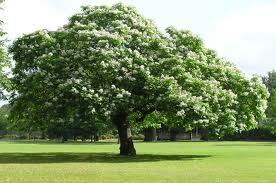 There is even a (“non-existent”) Catalpa Tree Appreciation Society. The author of the Times article, Michael Tortorello, writes that “Almost no one appreciates the catalpa tree, and few gardeners have planted one since the financial crisis. The one in the 1930s.” Exactly when my mother was writing about catalpas. Two of the 19th-century catalpa enthusiasts came from the midwest: Ohio and Illinois where Joan grew up. Catalpa came out of fashion — even though it was beautiful and the wood was vital for railroad ties — because it could be messy with its seedpods. 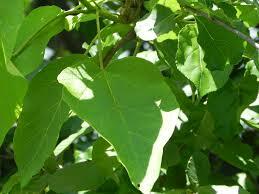 Perhaps what we need now is an analysis of the catalpa in literature and war. For Joan, it was a symbolic tree, linked irrevocably with the start of World War II. The August-September night it started. White moon on the grass and moon mist over the fields. Even then. It was so still. The crickets sang farewell to summer. Was rich in the air. And another crop was being harvested.